Did you know Ohio used to produce more wine than any other state in the country, and Cincinnati was the most important city in the national wine trade. That was in 1859, thanks to Prohibition in the early 1900’s the wine industry in the state died. Today the Ohio wine industry is budding again and is producing award-winning wines. Ohio’s wine history dates back to the 1800s when Nicholas Longworth, a pioneer in the commercial wine industry, planted Catawba grapes in Cincinnati. The wine was instantly praised by consumers for its semi-sweet taste, and because of Longworth’s initiatives, Ohio became the leading producer of wine by 1859, but the success was short lived. During the 1860s, crop diseases began destroying the grapes and the Civil War significantly reduced the labor force, which nearly wiped out the Ohio wine industry altogether. However, German immigrants came to the rescue when they brought their winemaking traditions to the Lake Erie Islands in northern Ohio. Ohio’s wine industry was once again in danger of complete obliteration when Prohibition took effect. However, the 1960s revitalized the state’s wine production when disease-resistant French grapes were planted in southern Ohio. Before long, these grapes were flourishing in the Northern Lake Erie Belt. Today, Ohio is home to 265 wineries with more on the way. Ohio produces more than 1.1 million gallons of wine every year, making it one of the top 10 wine producing states in the country. 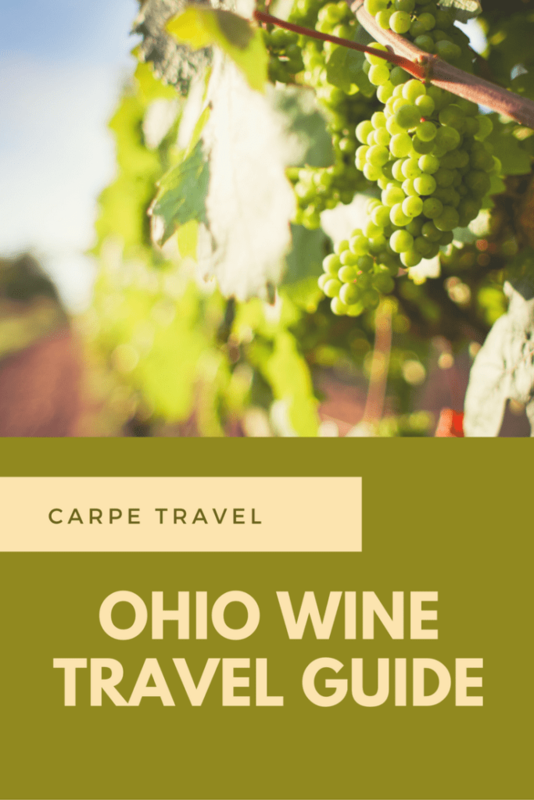 The state has five recognized AVAs and six wine trails Each of Ohio’s wine trails are located in different parts of the state making an escape to Ohio wine country and easy task. Lake Erie Appellation – The Lake Erie AVA includes more than 2 million acres of land on the south shore of Lake Erie in Ohio, New York and Pennsylvania. More than 42,000 acres of the region are planted in grapevines. Isle St. George – The Isle St. George AVA is located on North Bass Island. More than half of the island is planted with grapevines. Ohio River Valley Appellation – The Ohio River Valley AVA is the birthplace of American viticulture. The Ohio River Valley is centered around the Ohio River and surrounding areas. It is the second largest wine appellation of origin in the United States with more than 16 million acres in portions of the states of Indiana, Kentucky, Ohio and West Virginia. Grand River Valley – The Grand River Valley AVA is located in Lake, Geauga and Ashtabula counties in northeastern Ohio. The gently rolling landscape of the Grand River Valley American Viticultural Area (AVA) benefits from a climate moderated by the thermal effects of a large body of water, in this case, Lake Erie to the north. Loramie Creek Appallation – Loramie Creek is bordered by Loramie and Tuttle Creeks as well as State Route 47 in Shelby County. The Loramie Creek appellation currently has no operating winery in its jurisdiction. Sip your way through Ohio, here are some of the best wine bars in the state to check out. 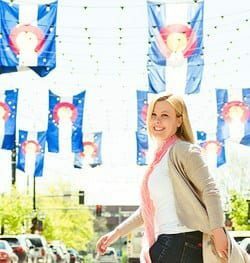 Market Avenue Wine Bar – Swanky spot with artful decor offering seasonal appetizers & desserts, plus many wines by the glass. Zemore’s Wine Cellar and Bistro – Zemore’s features wines from smaller, family owned wineries from locations around the world. Wines are offered to taste, by the glass, bottle or case. The Wine Gallery – Relaxed cafe offering wine flights & upmarket American bites, plus a shop for bottles & cases. The Vault Wine Bar – The Vault Wine Bar operates out of what was previously a bank in Shelby, Ohio, built in 1911. This is where people go when they want a fun and unique experience, drinking wine and enjoying food in a setting unlike any other. This annual two-day festival boasts dozens of wines from all over the state, local artisans, live entertainment, food trucks and more. For those who want even more variety, there is a craft beer section to enjoy. Voted by USA Today 10 Best. This year will mark the 55th anniversary of the event, situated right in the heart of Ohio’s rich northeast wine region along Lake Erie. The purpose of the festival is to celebrate the grape harvest in the area, and activities range from wine sampling to live entertainment — and of course, grape stomping. Most importantly, it’s a completely free event. The annual Toast of Ohio Wine Heritage Festival features Ohio wineries, gourmet food, live musical entertainment, and an art show. Interviews with winemakers who are shaping the Ohio wine region.